English Hill - New W&D convey. Basketball in cul-de-sac! MLS#2242304. 5000. 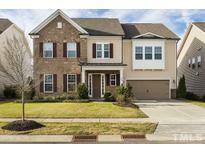 Stone Currie - Central to all the Triangle/Triad offers 3 min to 1-40/85, 4 to H'boro, 10 to C'Hill, 15 to Durham MLS#2241912. 48. Landscaped cul-de-sac lot. Neighborhood playground too! MLS#2241950. 3048. See feature sheet for amazing details. MLS#2241591. 4232. Sunroom W/Wonderful Views Of Patio - Great Outdoor Living! 2-car Garage. Mins To Downtown! MLS#2240876. 269. Strayhorn Hills - Minutes to I-40, Hwy 70, Duke & UNC. MLS#2240559. 3048. Harmony floorplan with 5bedrooms and 4.5 bathrooms with loft. 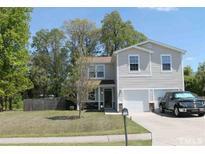 MLS#2239824. 2983. Luna plan with 3bedrooms and 2.5 bathrooms with Study. MLS#2239829. 2983. The basement is perfect for a bar area, man cave, or convert it into an apartment or AirBnB. This is a must see!! ! MLS#2239461. 65. Kingsboro Estates - Full disclosure of non-permitted closet space over stairwell in second floor bedroom. MLS#2239194. 213. Historic District - A short walk to restaurants, coffee, shops, parks and the Riverwalk, come enjoy the grace and elegance of modern convenience in an architectural gem. MLS#2238760. 65. Eno River Estates - Oversized 2-car garage. In-Law Suite w/ separate entrance. MLS#2238221. 150. 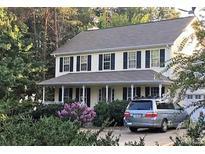 Pretty rolling country 10 minutes to Retail, 20 to Downtown Durham. MLS#2238019. 350. Hardscrabble Plantation - Clubhouse w/ Swim and Tennis, More! Showings Start Sunday Feb. 17. MLS#2237058. 124. Custom Cypress Woodwork, Expansive Stonework, Terraces & a Pond are Just a few of the WOW features! Horses Allowed. MLS#2236764. 81. Just a short distance to nearby Gold Park and shops! MLS#2236803. 3048. Upstairs there are 2 bedrooms, a bath, and a loft area perfect for tv, reading or crafts. CORBINTON IS A 55+ NEIGHBORHOOD. MLS#2235995. 5014. 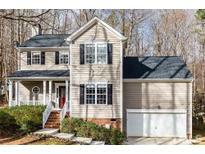 Great location near Downtown Historic Hillsborough and quick commute to Duke, RTP and Chapel Hill. MLS#2235832. 3048. Huge deck out back with connecting “hot tub deck." WELCOME HOME! MLS#2232253. 4410. Call today for more information about building in Forest Ridge. MLS#2235339. 2983. Interstate highways are only minutes away. Property is being sold "as-is". MLS#2235203. 51. Screen porch and deck, privacy fenced yard. HVAC system/Gas pack replaced 2018. MLS#2234620. 107. Saint Marys Woods - * Main floor suite & detached garge built by professional contractors, no permits. MLS#2234391. 3048. Enjoy your morning coffee from the roomy screened porch or time with friends and family in the spacious bonus room off the upstairs hallway. Large walk in attic space. MLS#2234149. 3577.